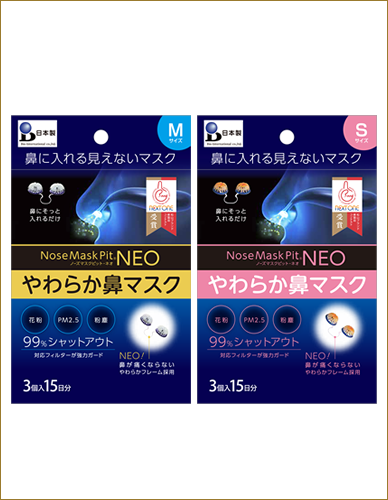 Nose Mask Pit NEO || Bio-International co.,ltd. 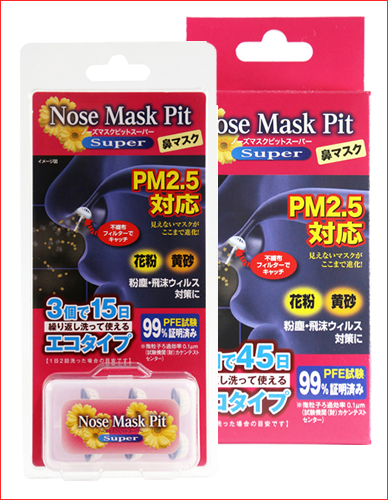 ・Defend against pollen, PM2.5, and airborne viruses just by inserting into your nose! 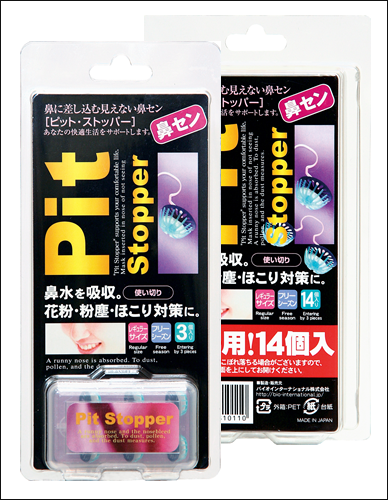 ・Especially recommended for people who don't like masks or medicine. 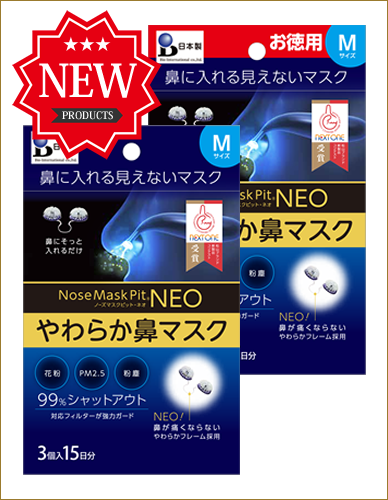 ・This nose mask is made of soft materials, so it is stress-free and unnoticeable. ・It can be washed with water and reused up to 10 times, so it is economical (¥50/day). 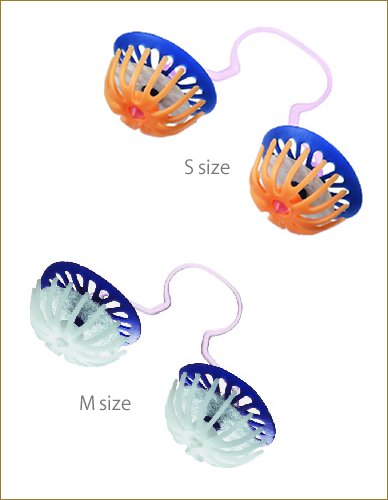 ・This N95 mask cuts 99% of 0.1μm particulates with its non-woven filter. 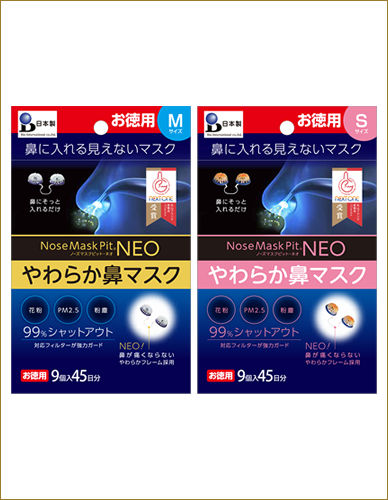 ・It even can be used by those in customer service who typically cannot wear masks. ・It is perfect for those who are in customer service and those who do not want a mask to mess up their makeup or cloud up their glasses. 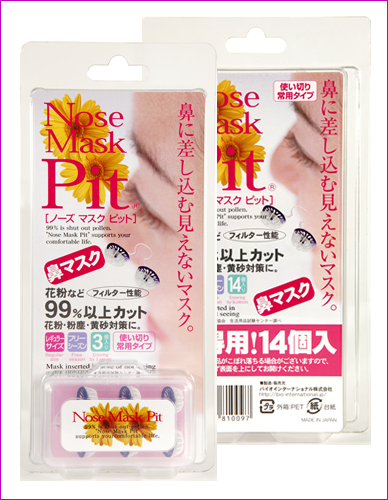 ・This is the new version of the Nose Mask Pit Series in its 11th year.